Wedding Photgraphy at Croxteth Hall. An amazing Edwardian stately home, set in a stunning country park, Croxteth Hall is one of Liverpool’s most important heritage sites and once home to the Earl of Sefton. The Country Park is home to a real working Home Farm which feature a Victorian Walled Garden and 500 acres of nature reserve. Croxteth Hall is known for a range of learning experiences and educational visits, including filming, which Liverpool Film Office support. 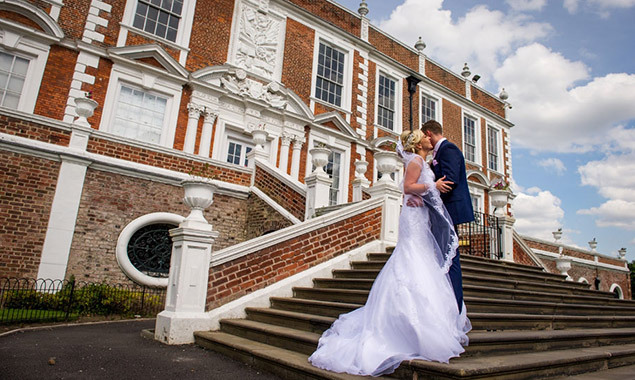 With a long line of history and beautiful surroundings, Croxteth Hall is a popular venue for weddings and functions. This stunning wedding venue offers elegance and style within its Edwardian Rooms, including the Old Dining Rooms, the Library and the more intimate rooms, Sir Richards Rooms and Ante Room. Also the Queen Anne Suite which has been recently restored. You are sure to find the perfect setting for your wedding day dreams to come true. if your looking for Croxteth Hall Wedding Photography, please get in touch as we have lots of previous weddings we can show you. For more Liverpool Wedding Venues, see our wedding venues section. If you want more information on pricing please get in touch.